Food is the real hero here. 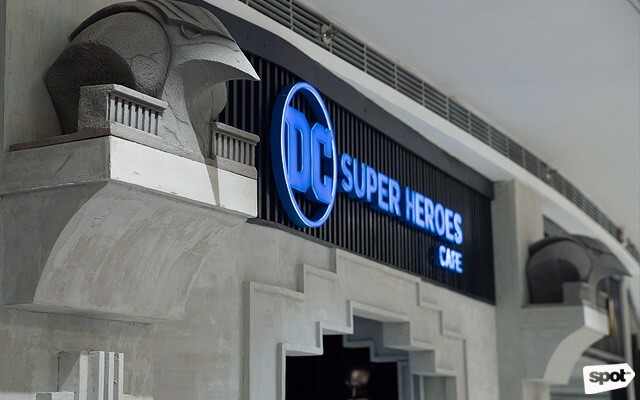 (SPOT.ph) Since DC Super Heroes Café opened back in June, it has been serving up superhero-themed culinary creations to the delight of comic fans. But with high-concept dishes like the 12-Hour Glazed Pork Belly or the Salmon & Green Curry, the joint always felt more like a treat or reward than everyday fare. And so DC fans and hungry office folk working in the Ortigas area clamored for more accessible meals that could be enjoyed in the café’s meticulously designed comics-inspired environment. DC Super Heroes Café comes to the rescue with their Choose Your Own Adventure mix-and-match menu, a novel and fun way to have a lunch meal. Named after the book series that were hugely popular in the '80s and '90s, managing director Edric Chua says he wanted to pay homage to the stories that captured his imagination as a kid, much like how DC comics inspired the café. Reasonably priced at P280, the Choose Your Own Adventure meals give more diners a chance to try the concept café—that’s if they haven’t already. Adventure is really the right way to describe the concept, as the menu offers the three main components of a dish playfully described as Energy, Strength, and Power, which you can mix and match to create your own super meal. The first step is to pick out Energy—they have a selection of six bases including skin-on mashed potatoes mixed greens, a garlicky aglio olio, pepperoni rice, aligue rice, and an oil-based fusilli pasta. 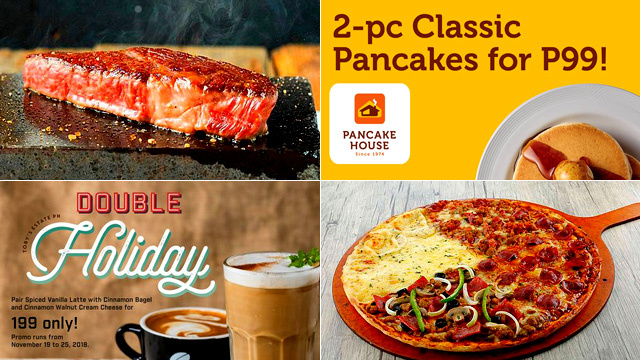 For less than P300, you get a hefty serving of protein and salad or carbs. 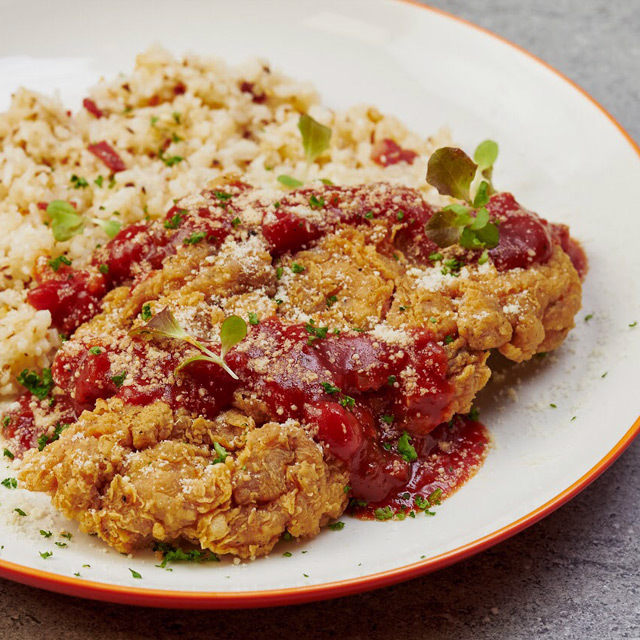 This fried chicken is paired with pepperoni rice and a tangy tomato dressing! Then you choose Strength, your dish’s protein: Choose from soy-garlic beef strips, seared cajun chicken, calamares, crispy fried chicken, grilled dory, or fried pork belly. 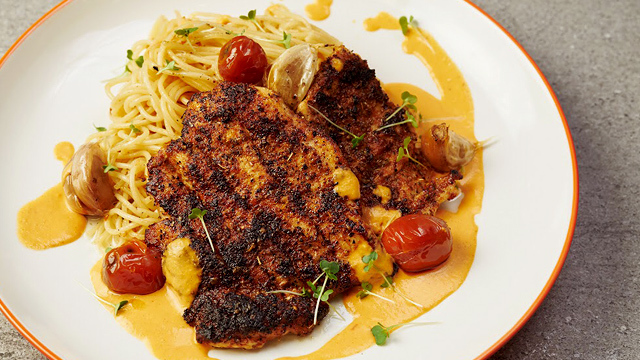 Finally, there’s Power, a sauce that’s poured over the protein, which can be any of another six options like a savory mushroom gravy, hearty romesco sauce, pesto, tangy tomato dressing, or lemon sauce. Here's a fun fact: With 216 possible combinations, diners can visit DC Super Heroes Café every day for nearly two-thirds of the year and not have the same dish twice! Chua and his team tested all manner of combinations and proudly claim that everything works well with everything. Well, nearly everything. 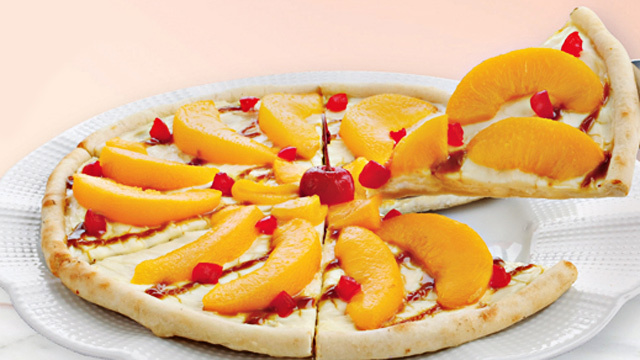 He confesses that since diners have varying palates, some combinations might not end up being a favorite. You'll feel like flying with Superman after having this no-fail combination: Milky mashed potatoes and savory beef! For customers who don’t want to create their own meal, the café also offers a selection of chef’s picks called the Hero’s Path, or preset combinations inspired by members of the Justice League. 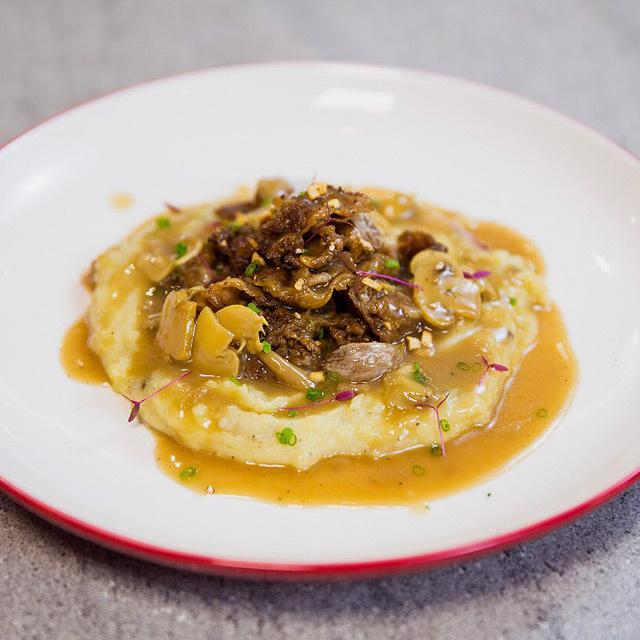 Diners can, for example, choose to Fly With Superman (P280), a combination of creamy skin-on mashed potatoes, thinly sliced beef strips cooked in a punchy soy-garlic marinade, and mushroom gravy that’s as classic and American as the last son of Krypton himself. Seafood lovers can choose to Rule With Aquaman (P280) with a combination of sinful aligue rice, perfectly grilled dory, and a zesty lemon sauce that has just the right amount of tang. Tinker With Cyborg is sinfully delicious, with deep-fried liempo atop al-dente fusili coated with nutty roasted-sesame dressing. 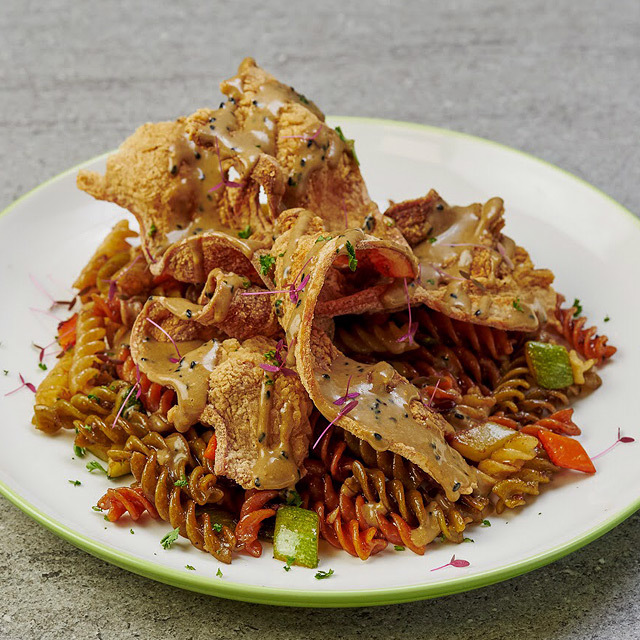 Meanwhile, more adventurous diners can go with the daring Tinker With Cyborg (P280), which has a base of olive oil-coated fusilli paired with papel de liempo, crispy, paper-thin strips of pork belly, and drizzled with a nutty roasted-sesame dressing. The portions are generous for the price, and the taste of each component is what you’d come to expect from a restaurant that conscientiously makes its own ketchup from scratch. The Choose Your Own Adventure menu is one of the most fun and creative ways to dine. 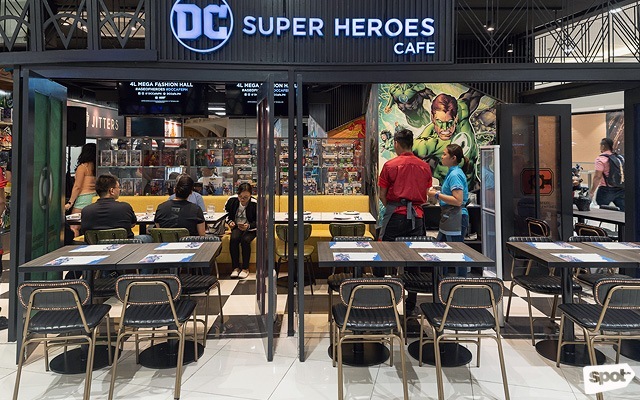 Set against the backdrop of a superhero-themed café, the new lunch sets from DC Super Heroes Café is another exciting way to save the day from hunger. DC Super Heroes Café’s Choose Your Own Adventure sets are only available from 11 a.m. to 3 p.m., Monday to Friday.